Thinking of installing a solar power system in Sydney? There’s a lot to think about. Here, we’ve covered some of the most common ‘traps’ people in Sydney fall into when buying a solar power system. We will also go over the most important things to consider when buying a solar system, and how to choose the right system for you. There are many different different types of solar power systems and the components within them. 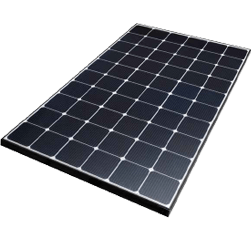 Firstly, there are different solar panel technologies on the market (monocrystalline and polycrystalline solar panels for example). Second there are Microinverters vs standard “string” inverters to consider. 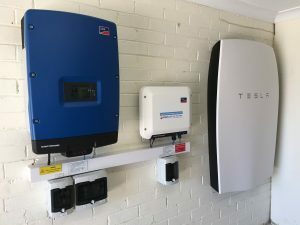 Then there are considerations around going for a hybrid “battery solar systems” using a battery product such as the Tesla Powerwall or a regular “grid-connected” solar power system. 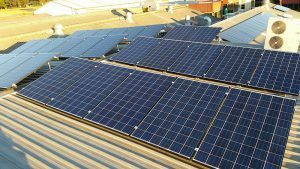 System design and components also vary dependent on whether the installation is a residential solar power system or commercial solar systems Sydney. The first major consideration when choosing a solar system is the size. This is based mainly on your energy usage. Power bills will typically tell you how much your average daily energy use is which is a good place to start, although average total daily consumption will include both daytime and night time energy use. 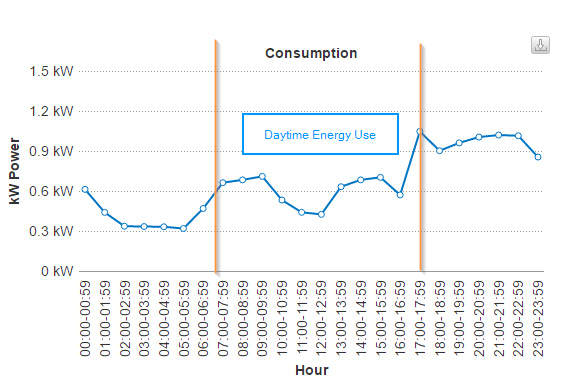 The image below is an example of energy usage over a 24hr period for a family home. How much is your daily average energy use (21kWh/day is typical for a home)? How much of your energy use is during the daytime – or could loads such as pool pumps be changed to daytime? 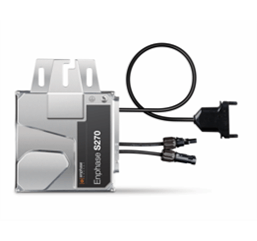 Do you want to install extra capacity for batteries later on? Which direction is your roof facing? – inefficiencies might make it wise to increase the system size. Each part of a solar system is important. Solarbank use top quality solar panels such as Trina and LG. Take a look at our solar panels comparison for more information. 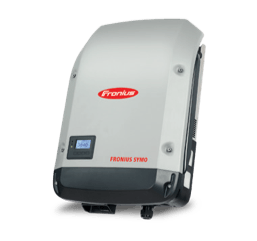 We recommend Fronius and SMA inverters or Enphase microinverters. A residential solar power system consists of the above components. It is important to correctly size a solar system to ensure your objectives are met. 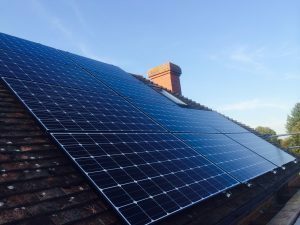 Using high quality components and a having a quality installation are critical to ensuring you get the benefits of your solar power investment in the long term. Residential solar power system owners are likely to benefit from adding a battery to their system to store excess solar power generated during the day for use at night. Solar systems with batteries are still “grid-connected” but have a battery to absorb excess energy for later use. When the battery is completely discharged power can still be drawn from the grid. 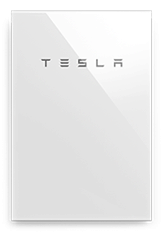 Complete solar battery systems such as the Tesla Powerwall 2 can be retrofit to any existing solar power system. For most customers, the greatest consideration is how much a solar power system will cost, compared with how much it will save them. One measure of this is Return On Investment (ROI). As an example, you might pay *$4,000 for a 2kW solar system and save $800 per year (a 20% ROI) whilst a 5kW system might cost *$8,000 and may save you $1,400 per year (a 17.5% ROI). Most customers will consider both the total annual return and the ROI as a percentage of the system cost. As mentioned above, overall system price compared with total yearly savings is an important measure for many people considering purchasing a solar system. Of course as with anything, paying a higher price does not always mean you get high quality – BUT high quality products and services will always come at a higher price than inferior ones. Naturally larger solar systems cost more than smaller systems – but the increase is not linear. Because installation is usually quite a significant portion of overall system cost, getting a larger solar system is often more cost-effective. Also consider that the STC rebates are dependent on the number of solar panels installed. So in many cases adding additional panels only marginally increases the total system cost. Nowadays, a typical Sydney residential solar system is between 4kW and 6kW. 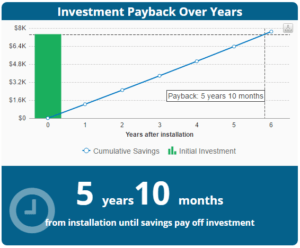 Example of a residential solar system payback period. Commercial solar systems usually vary in size from between 10kW and 100kW. Once a commercial solar system goes over the 100kW mark, it enters into a different category. This eliminates eligibility for STC rebates (upfront discount on purchase of solar system) and enables the creation of LGCs (discount is received over time based on generation of energy). There are some common traps for buyers to be aware of when purchasing a solar system. These can result in reduced savings from the system, shorter lifespans, warranty problems and potentially disastrous failures in the worst cases. Salespeople can be cunning, and buyers should be aware that not all products or installers are equal. Salespeople may come up with reasons which make an inferior product seem like a good buy, in order to sell it at top dollar. This is naturally not something one would want, but it’s not the worst thing that could happen when buying a solar system. People who love a bargain will soon discover that there are many cheap options in the solar market. Some companies focus on volume and sell solar systems at rock-bottom prices to get more sales. For the customer, this usually comes with poor-quality products, fast (hurried) installations and cheap components. Inferior products will likely lead to poor performance, frequent failures, warranty claims and worse. Solarbank only offers the highest quality components all-round to ensure the highest quality installation. The system installation is a very important part of getting a solar system. An installation done properly will ensure that you get the full benefit and that your solar system will last for many years into the future. A poorly installed system may look unsightly, have many faults and lead to anything from small failures and leaky roofs to catastrophic electrical failures.